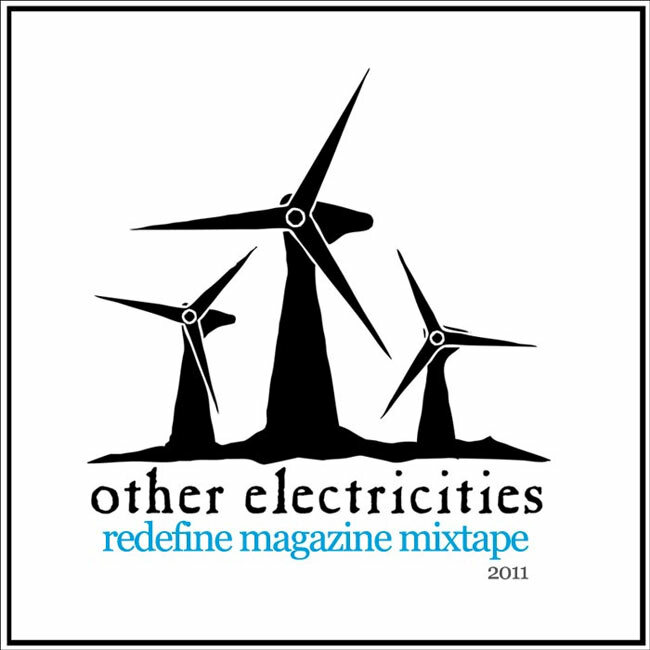 Other Electricities is from Miami, FL. Initially, we launched in Portland, OR in 2006 and before we knew it, we’d traveled around the world in a sense — releasing sounds from international artists. Since we never stuck to one genre over another, our artists not only span the globe but span sonic styles and approaches. Thanks to Vivian Hua and Redefine Magazine for doing what they do and supporting us from the very beginning. We hope there’s a little something for everyone in this mixtape. Many thanks to Tom & Tiffany Dorsey, Jet, Aaron Powers, the Sweat Records crew, Carl Saff, Jeff Brunetto, Patrick Ethridge, Jules, Kristin Bradshaw, Sabrina Heath, Matt Phillips, Laura Becker and everyone else who’s been a part of O.E. in some way. We first became familiar with Lars through his vocal contributions on tracks from one of our other artists, Norway-based Dokkemand (Marius Egenes). Marius later released an EP by Lars on his Knirk Audio label, and this is the lead track. It’s stunning how the vocal-pop hooks are carried along so well by the resonant fullness of all the other instruments. This is a track from another Norwegian artist, Black Feather (Harald Frøland), of his debut album Silhouette. It’s one of my favorite tracks on the album because of the lyrical imagery and triumphant-sounding rhythms. On Male’s second album, German for Shark, 4 bonus remixes were included. This one by Dan Bitney (Tortoise, Bumps), really pushes Male’s minimal sound and creates a bubbling, beat-driven version that gets your head nodding. Nashville’s Thomas “Trees” Samuel and Dabney “Voice” Morris created The Ostrich Or The Lark, an album of experimental, “coloring book” pop. “Learn” is the album’s hopeful, glo-fi anthem that starts with a pulse and burgeons throughout. Definitely one of the unheralded tracks off João’s Hands & Feet album. The electronic/organic glitch and tension meld so well with the nostalgic refrains in the lyrics. The track that inspired the artwork for UK-based Low Low’s fourth release, the Ghost EP. It’s amazing how such a short song can not only inspire gorgeous imagery, but can contain more earworm-inducing aspects than most songs three-times as long. This is a Dokkemand track from a joint-label compilation we did with Chicago’s Audio 8 Recordings, The Astonishing Symmetry of Tossing Horses. Not a stranger to vocal guests, Dokkemand has worked with Alison Shaw (Cranes), Kate Havnevik, the aforementioned Lars Wiik and others. Here, he’s joined by Swedish artist JmyHaze, who has an interesting take on what happens when we get older. Our 2011 label compilation took the form of a tribute to CAN. Germany’s Baja (Daniel Vujanic) changes up the arrangement of “Vitamin C”, slows its pulse and adds his signature cut-up, overlapping micro-edits. Lovely. O.E. goes waaaaay back with Serengeti & Polyphonic (Audio 8, Anticon). One day Polyphonic (Will Freyman) shot over an email with some tracks by a guy in South Africa named João Orecchia and we were blown away by all of them, including a track Serengeti rapped on. We put out Hands & Feet shortly after. This remix of “Lately” from Serengeti and Polyphonic’s Don’t Give Up sets Serengeti’s verses upon João’s edits once again – this time using swatches of Polyphonic’s palette combined with his own. It’s tough to pick just one track to represent Gultskra Artikler’s Galaktika. Not because the tracks are extremely varied, but because they craft a sonic story, as intended by the composer, Moscow-based Alexey Devyanin. However, “Solnce” can serve as a brief introduction to the haunting soundtrack of sci-fi movie that never was. Very few people are as well-versed in soundscapes as the man behind Jatun, Scott Worley. What’s great about his tracks is how he takes the knowledge and love of his favorite sounds and blends them into his own. Fans of shoegaze, space rock and ambient – if you still haven’t heard Jatun, it’s about time. A track off German for Shark, created with Chicago-based ensemble Male’s unique form of pseudo-structured improvisation. This is another one of those albums that’s hard to pick apart for individual tracks, however there’s something beckoning in the pensive, eerie “Doom Thus (Two)” that you can’t quite put your finger on. Not strangers to slow-burning, existential compositions, this track off Brotherly is definitely one of Sneaky Thieves’ darkest. Is it too cliché to blame the weather in the Pacific Northwest?